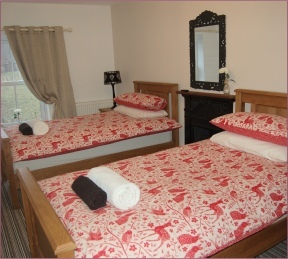 Each of our 3 bedrooms is individually decorated and designed in an eclectic style with all the comfort of a luxury small hotel but retaining an intimate, homely feel. The decor has a calming and relaxing feel whilst we have retained a few of the building’s original features from the Victorian period. 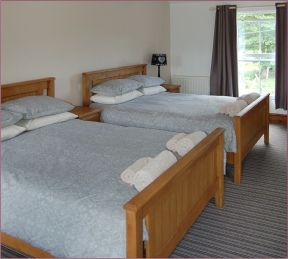 Each bedroom features comfortable beds, high quality duvets and pillows, quality linens, as well as modern en-suites with power showers, large fluffy bath towels and luxury toiletries. 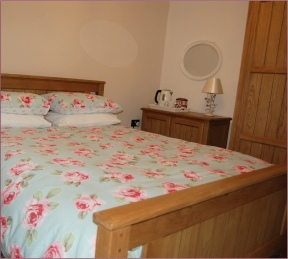 TV, WiFi and coffee & tea making facilities in each room. The Rheolau Arms has its own Bar and Restaurant for use by our guests and the public ~ Our Curry Night on a Thursday and Sunday Lunch is most popular locally. We can offer rooms for parties, functions and cater for all your needs. We also carry out outside catering and provide quality food and excellent service. We hope to welcome you to The Rheolau Arms in the near future. The Rheolau Arms is all about.